Use this form to provide feedback or to suggest EPA or OPW gauges that should be added to the map. Please include what the appropriate levels for what Scrapable, Low, Medium, High etc should be set to. is the map not showing up for anyone else? Hi Lorcan, which of the four levels would be most useful? Would the difference between two of those levels give a good indication of whether Curragower is working? If so, which two? http://www.sfpc.ie/weather/tide.html. Shannon Foynes Port Company now trend river level in Limerick. May be useful for knowing whether the Curragower is working or not. Hi Conor, thanks for the input. I have modified the Boluisce settings and added the gauge below the Tuam hole. Hey lads, Another river guage for ye to add would be Tuam hole. The Ballygaddy gauge is at the hole. http://waterlevel.ie/0000030007/ Suggested levels would be: Low	90-120cm Medium	120-140cm etc. This gauge is not always online, however there is another gauge further downstream that seems to be constantly active. http://waterlevel.ie/0000030004/ My guess is that for Tuam hole to work this gauge must be reading at least 1.65m. Low	165-200cm Medium	200-240cm This is only a guess at the moment but it can be calibrated over time. Hey lads, For the Boluisce level in Co. Galway you have it graded Scrapeable 70-80cm Low	80-100cm Medium	100-120cm etc. I would suggest that this be changed to Scrapeable 90-100cm Low	100-120cm Medium	120-140cm etc. 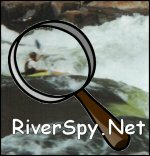 There was a group on the river today (28th Oct), the reading was 115cm and they reckoned the river was still low-lowish.